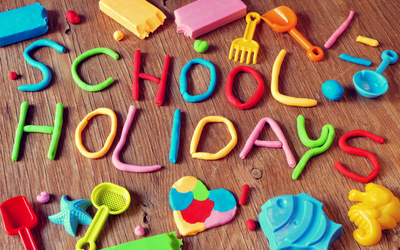 Get the kids fuelled up for a day of summer fun at Beefeater. Whether they want a full cooked breakfast with succulent sausages and eggs sunny side up or cereal, juice, fruit and pastries, these are the breakfasts of young kings and queens. This is the Great British Summer after all so we’re bound to get some rainy days where all it makes sense to do is catch the latest movie with a big box of popcorn. Vue Cinema’s current offer in collaboration with EE means that you get 20% off four tickets, four drinks, and four snacks. There’s a great choice of animated movies out at the moment, including the recently premiered Hotel Transylvania 3: A Monster Vacation and Incredibles 2. How many times will you hear, “Mummy/Daddy… I’m hungry!” this summer? Thank goodness for the Frankie and Benny’s offer where kids eat for £1 with each adult buying one main course from the main menu each. They can choose from a great kids’ menu which includes the Mac ‘N’ Cheese Sailboat, Mini Meatball Burger Duo and Mini Grilled Chicken Skewers. Delicious! The Piccolo menu at Pizza Express never fails to deliver with its great choice of pizza and pasta. At the moment, the kids also have the chance to win a Creakers sleepover kit and a personalised copy of The Creakers book by Tom Fletcher and illustrated by Shane Devries. 5 runners-up will each win £50 worth of Puffin Books and a PizzaExpress gift card. One lucky winner will get to see their Creaker on the front cover of the book and will receive the ultimate Creakers sleepover kit, including a tent, night-vision goggles, sleeping bags, torches and stickers! All they have to do to enter is design their own Creaker using the template provided in the Piccolo pack at the restaurant. A combination of great food and entertainment should make for happy families this summer holidays!